• Stealthy black micro housing and hardware. • Fully adjustable tri-colored zone discrimination (See below). • Featherweight at 2.2 pounds. • 9 volt battery for 15-18 hrs. • All Epsilon 5 pin coils interchangeable. 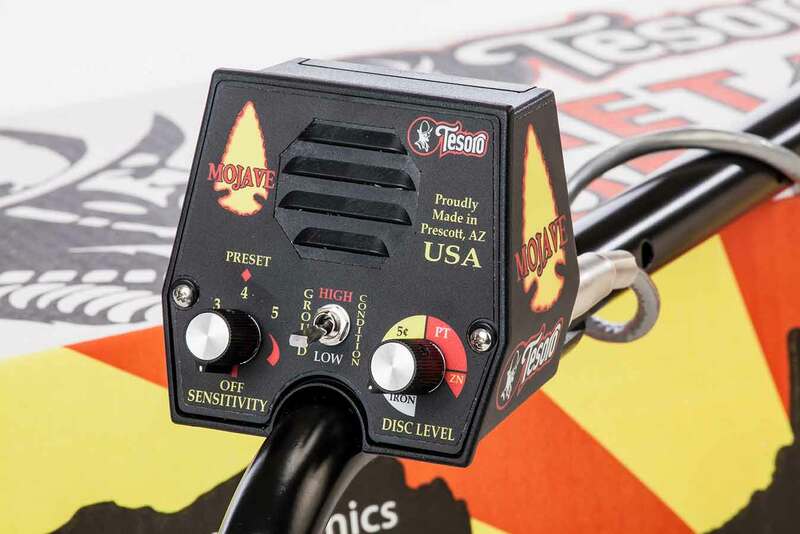 The Mojave is a newly designed 12 Khz detector with a 2 position HIGH and LOW ground condition switch for varying soil conditions. Tesoro's Mojave will broaden hunting capabilities from coast to coast! 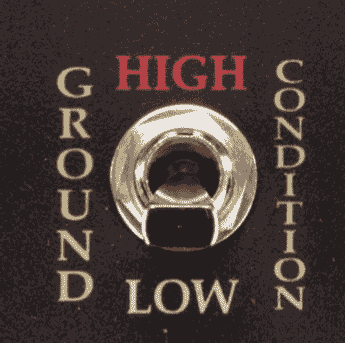 In low to moderate ground conditions the LOW setting will gain more depth. The HIGH setting will overcome the worst ground conditions while maintaining smooth and clean target responses. From land to sea and deserts to mountains, the Mojave has the power and performance to tackle any changing ground conditions and soil types around the world! Full range 180 discrimination covers everything from ALL METALS to screw cap rejection. 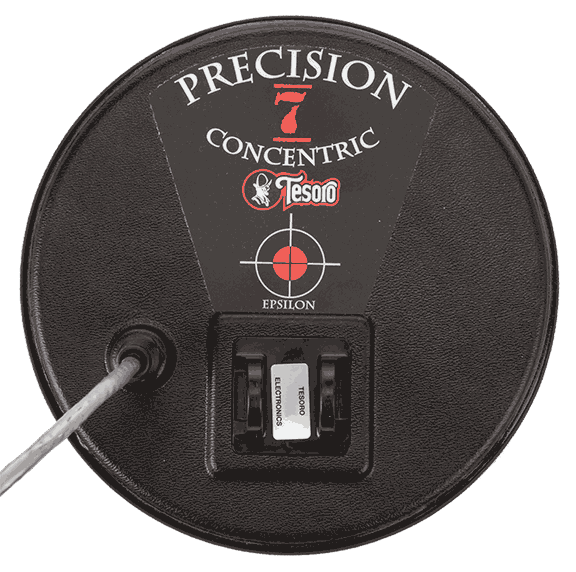 Tesoro's precision 7” featherweight and thin profile coil is the ideal size for tough, trashy areas for jewelry, coin, ring and relic hunting. Lightning fast response and swift retuning allow the Mojave’s 7” coil to surgically locate targets amongst the trash.